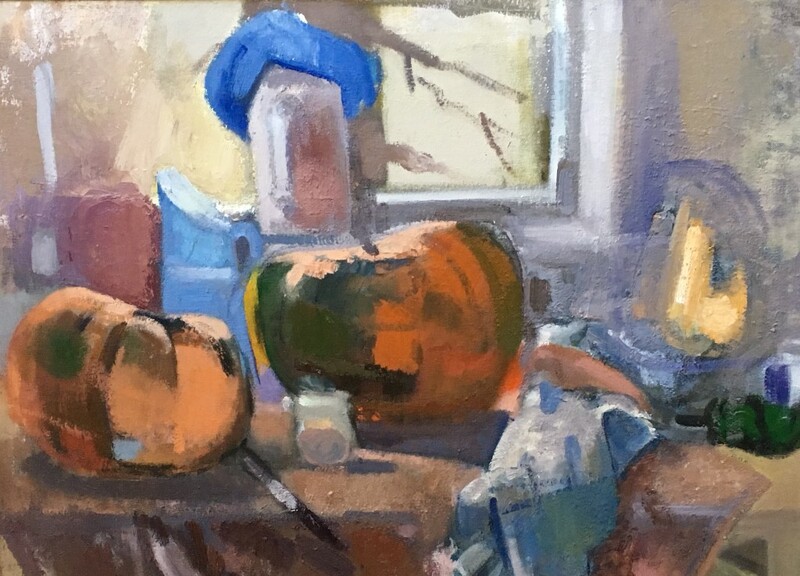 Sunday, March 18, 2018, 3 p.m.
Ruth Miller, Pumpkin Still Life in Window, 2016-2017. Oil on canvas. 2018 Invitational Exhibition of Visual Arts. Sunday, March 18, 2018 3 p.m.
New York, NY 10032Ensemble Échappé will play contemporary classical works by the winners of the 2017 Arts and Letters Awards in Music. A reception will follow in the Academy’s galleries where the 2018 Invitational Exhibition of Visual Arts, with works by 35 contemporary artists, will be on view. This event is free but reservations are required. RSVP by Friday, March 12, 2018.